#11: Make Coffee Drinks at Home. Ben is a huge coffee drinker. I love chai and lattes. Ben makes espresso at home all the time in our espresso maker (which we got on sale at Starbucks over 5 years ago). Starbucks' uses a chai brand called Tazo. Costco sells Tazo chai concentrate in a 3 pack for about $7.50. This is very cheap! Each carton will make about 5 chai drinks (you mix half & half with water). Buy a $3 frother at Ross and froth your milk before adding the chai. Yum! Or, I will make homemade chai mix and mix that in with hot water (this mix doesn't do well for a cold chai though, fyi). We used to eat out once per week, occassionally more! This really adds up quickly. 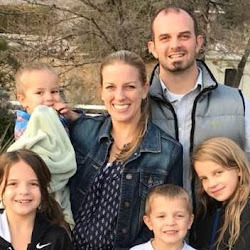 A meal for our family could quickly total $40, which meant we were spending $160 a month on eating out! Add in a fast food here or there and we topped the $200 mark every month. We began eating at home more often, and started to cut out those "eat out" meals. Over time, you know what we've discovered (other than the obvious money saving)? Our restaurant favorites no longer compared with the same meals I could cook at home! We have been disappointed more than once over the last couple months when we go out to eat and learn that our food is better and WAY cheaper! My fajitas are better than the ones at Chile's, my chicken parmasan has more flavor than at Olive Garden, and my pizzas kill anyones. We still go out about once a month, and we will get a fast food like In-n-Out once a month, too. We try to stay under $40/month on eating out though. By changing our eating out habits, we save an average of $1900/year! This one is simple enough. Individually prepared pretzels, cookies, crackers, yogurts, applesauces, fruit cups, apple bags, etc. are hugely marked up for the convenience factor. Although I will buy fruit cups as an occasional treat for the kids, we stay away from these! We buy snacks, yogurt, and applesauce in large containers and package them ourselves. This saves a lot of money. We often buy a big tub of plain yogurt at Costco for around $3 and then mix it with honey and jelly to sweeten and flavor it. We'll use an abundance of apples in the summer to make applesauce. We use baggies or containers to store pretzel or cracker snacks. I spend a little time at the beginning of the week bagging everything up, which gives the "convenience" factor for me throughout the week, and we save money, too! We save somewhere around $180/year by not buying conveniently pre-packed food items. #14: Mixing our own Oatmeal. We eat a lot of oatmeal in our house. We used to buy the Quaker flavored packets (which are so good, aren't they?) but at $2.50ish per box, and our family of 5 being able to eat an entire 10 pack in one day (2 packs per person), it was too expensive. Plus, it has a lot of sugar in it! We buy our oats in a 25 lb. bulk bag at Winco. We can eat that in a little over a month...I told you we like oats! For our breakfast oatmeal, we just mix oats with some brown sugar and then we add things like bananas, strawberries, blueberries, raisins, dried fruits, etc. Much cheaper and much healthier since you can control the sugar levels. You can also add honey for an even healthier sweetener. We used to buy 2 boxes of Quaker packets per week, so $20 per month. That would only provide a total of 8 days worth of breakfasts for our family, so we still had to pay for breakfast on the other 22 days of the month. For $14, I can get a bag of oats at Winco. For another $10, I can buy brown sugar and fruit toppings. I can feed my family oatmeal most every day in a much healthier fashion, and still have plenty of oats to use in our granola bars, smoothies, cookies, etc. Plus, oats fill your belly and keep you feeling full! The amount of money I save on breakfasts by making our own oatmeal almost every day totals...drum roll please...about $360!!! 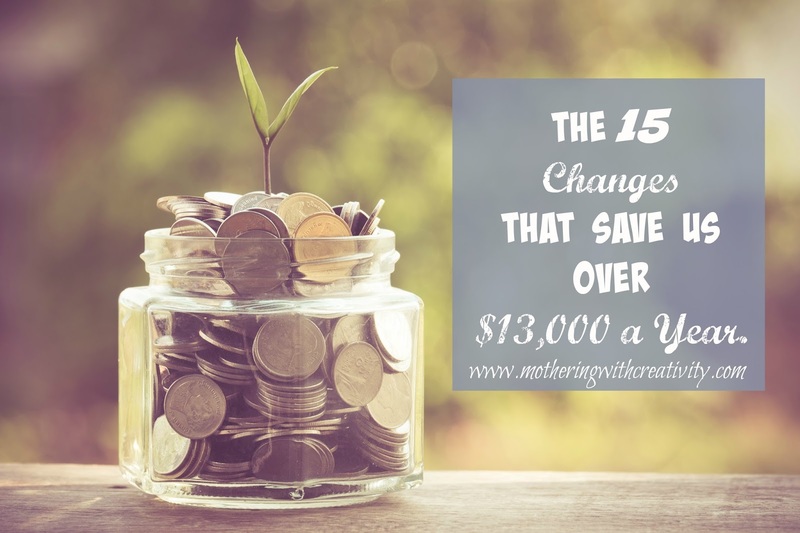 And those, my friends, are the 15 changes that save our family over $13,000 per year! By consuming less, making wiser decisions, re-evaluating our "necessities", and making some tough decisions, we cut a huge chunk of money out of our budget. I would really love to hear some of your cut-backs or what you do to save money! Leave a comment below to share those things! Thanks for reading! These are all really great tips. I think that pre packaged snacks are a racket! SO expensive and SO trendy that the kids always want them, but you save a bunch just by buying a box of crackers and putting them in a zip loc. Not hard, but somehow not easy enough... hmmm?? They are definitely a racket. Every once in a while I'll buy something like go-gurt or pre-packaged crackers and my kids just think they are the bees knees. It's soooo funny to watch them. They make sure everyone knows they have that "cool" snack. Sigh.